Paris is a visual time-warp. With its long boulevards and stately monuments, gorgeous bistros and cafes, all seemingly unchanged for hundreds of years, the city remains one of the most sought after destinations in all the world. We’ll explore, street by street, the charming maze of Europe’s most intriguing cities. Anyone who has ever visited Paris (and vacationed dutifully in the 5th arrondissement) knows that crowds are everywhere. Tourists throng about, bottle-necking the sidewalks. Students in chatty groups, books clutched close to their chests, roam slowly, discussing the lessons recently doled out by their cruel professors. Photo-drunk visitors abruptly stop in the middle of a walkway to snap yet another thousandth picture of the cathedral Notre Dame de Paris. In a nutshell, walking around the 5th arrondissement any time of the year is an exercise in patience. It is absolutely imperative to avoid these annoying stop-gaps of people and opt for the thin, back roads only Paris can offer. One of these gloriously charming back-alleyways is the rue de Lanneau. We’ll start our literary tour standing proudly before the great Pantheon in the Latin Quarter, an easily justifiable landmark to behold, atop the rolling incline where the rue Valette and Place du Panthéon meet. 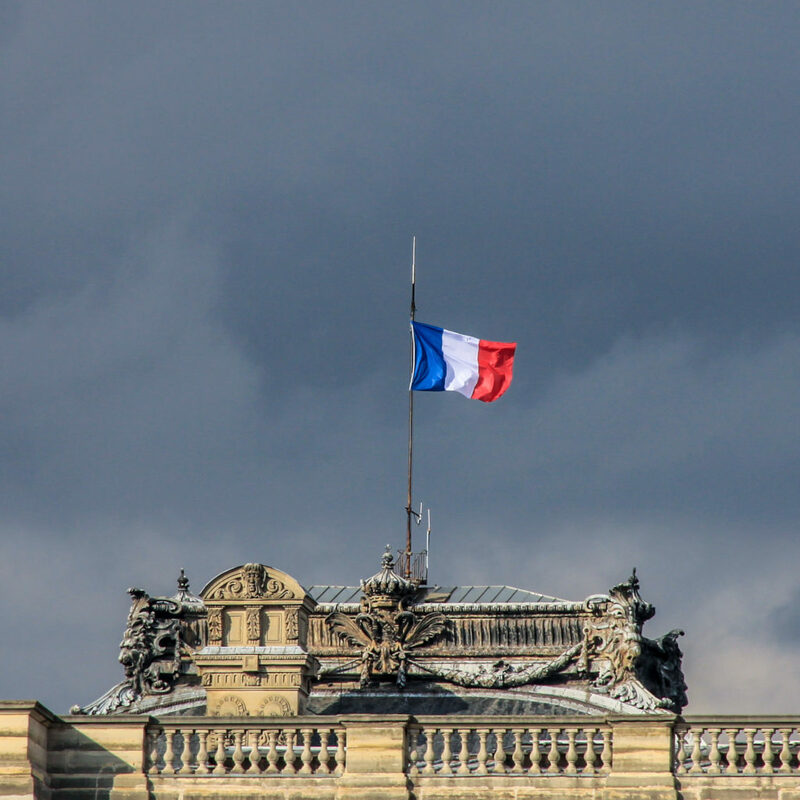 Take notice above the entrance of the majestic Panthéon and read its carved declaration: AUX GRANDS HOMMES LA PATRIE RECONNAISSANTE – which roughly translates “to the great men, the grateful homeland”. If that phrase rings a bit gender specific to your modern ears – I’m happy to report that in the fateful year of 1995 – Madame Curie became the first woman (on her own merits) to be entombed in the necropolis. Now turn your back respectfully to this marvelous gothic cathedral and walk north down rue Valette. In less than seven minutes, you will arrive at a very charming, albeit slanted five-pointed intersection (this is the area in the Latin Quarter that rests upon the Montagne Sainte-Geneviève – a hill that overlooks the Seine on the Left Bank). Directly west is the rue de l’Ecole Polytechnique – which is littered (deliciously) by local French cuisine – most notably Les Pipos and Les Fêtes Galantes, a delicious Ethiopia institution called Godjo, and the seriously authentic Portuguese inspired Nossa Churraquiera. There’s the Impasse des Boeufs – a dead-end pathway which caters to numerous unmentionable antics by the intoxicated student class prowling after midnight within its shadowed reach. The fourth walkway is the rue de Carmes which continues north onward to the crowded boulevard of Saint-Germain des Prés. Our street of the week, however, the rue de Lanneau, lies due east. 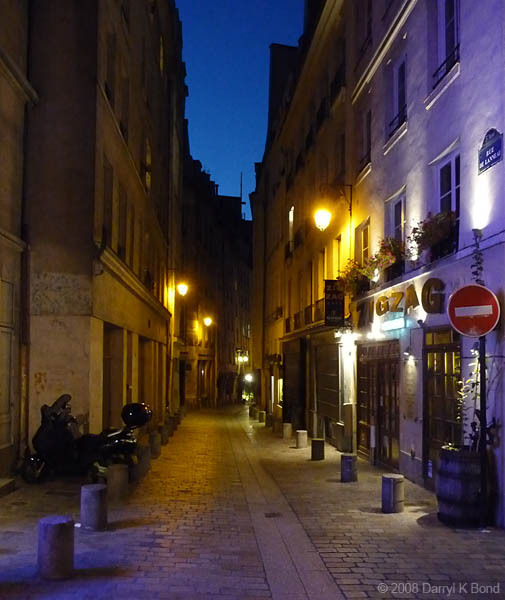 The rue de Lanneau is a gliding, slender alleyway, just disappearing beside a very popular happy hour joint serving an array of pints and cured saucisson – the Pub Saint Hilaire. Simply walking down this willowy passage will reveal some serious gems of Parisian life. For the film lover (and Paris is the cinephile city if there ever was one), there is the romantically quaint Theater du Temple – where an inquisitive audience may find rare screenings of Antonioni films and classic prints of old Howard Hawks pictures. Push further down the labyrinthine channel and two treasures of the culinary world appear. The first is Le Petite Prince – gorgeously monarchial in design – serving classic French dishes, and is a remarkable find for a quiet diner for two. Converted from a stately mansion, and previously a tavern dating back to 1450 (where the likes of Francois Villon could be found slinging back pints) Le Petit Prince remains one of the most closely guarded secrets of the Latin Quarter. Equally as alluring, just across the rue de Lanneau, lies Le Coupe Chou (translation: “the cut cabbage”) – another example of old Paris charm. Both restaurants do not advertise – and remain culinary secrets only to be discovered by the curious wanderer. Paris is one of the few cities in the western world that rewards those who walk with no destination. The rue de Lannau was named after a bizarre revolutionary (and descendant of Burgundy nobility) named Pierre Antoine Victor de Lanneau de Marey – a man who was abdicated from the priesthood when he sought to marry his betrothed. He ended up buying the land in the area (where currently the College Sainte-Barbe resides) and was buried in the Père Lachaise – the same famed cemetery where Jim Morrison and Oscar Wilde are laid to rest. 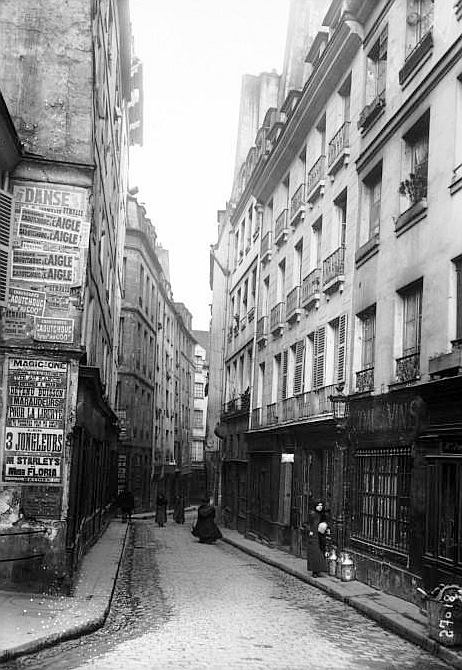 On a literary side note, throughout the 1600’s, the rue de Lanneau was renown by the Paris literati as the cache for booksellers – with up to 15 bookkeepers lining the small crevasse. 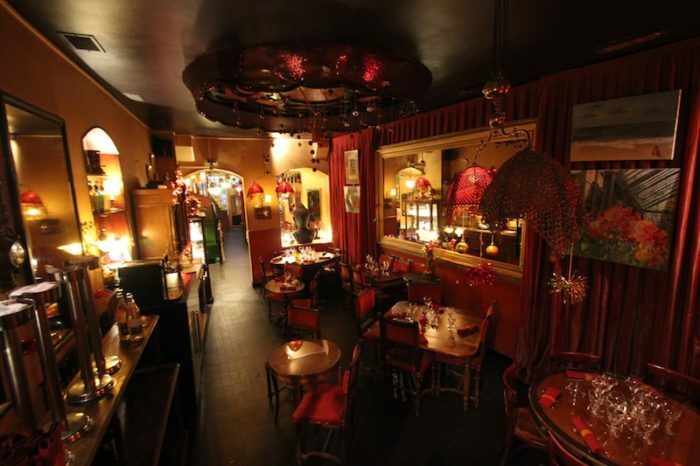 Nowadays, however, the rue de Lanneau is the perfect hideaway from the hustle and bustle of slow-moving tourists and the kinetic student class – offering a quiet moment of reflection and a casually seductive dinner for two in the City of Light. Rue de Lanneau remain of those classic hidden marvels that Paris has to offer – and won’t be mentioned in any guide book or bus tour. Like anything worthwhile, these are the sort of mysteries you must uncover on your own. Thanks for reading and stay tuned for our next installment of Paris: Street by Street. * Matthew D’Abate is an independent director, writer, and producer of short films, documentaries, and music videos. He is the Founder of LITERATE SUNDAY, an online writers/readers group dedicated to helping emerging writers from all over the world. He is also the host and producer of HOW WE LIVE NOW, a podcast dedicated to arts, culture, and travel along side international best-selling author Douglas Kennedy. 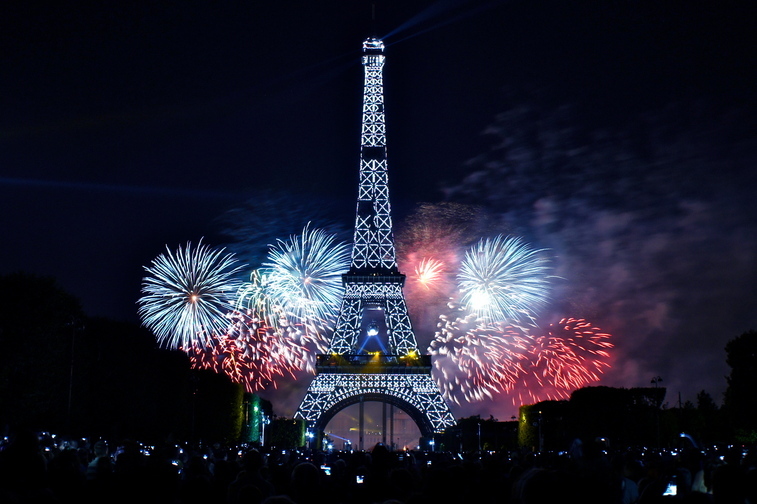 How the French Celebrate Bastille Day?